The thing which man most desires in this life is happiness. Yet it is the most illusive of treasures. This is due, in large part, to modern man’s agitated spirit and insatiable craving for instant gratification. This can be seen in a new mobile device games craze. Things have come a long way since the Angry Birds sensation which became a cultural phenomenon. For a measly 99 cents it was yours, no strings attached; with the exception of the one which kept the player tethered to their smart phone for hours on end. Perhaps none is more enticing and popular than Clash of Clans which allows a player to have his own village within a particular clan. The fun part for those who choose this particular mode of distraction are the wars that are waged with rival clans. Since some of these imaginary clashes take place in minutes, players can crush their opponents during those frequent lulls in a person’s day. Not surprisingly many of the Clash of Clans game designers were drug abusers themselves who have simply “channeled that seedy lifestyle into a game.”4 Now they are drawing dividends from those incapable of going without a different kind of “high.” Whereas Clash of Clans provides increments of free fun, players can speed up the process of village building by purchasing such things as virtual gems with real world money. The Candy Crush Saga puzzle game, another wildly popular diversion from reality, uses a similar tactic. After the initial free download players can enjoy free turns. The problem occurs when the free turns run out. Players are thus presented with two choices. They can either wait twenty minutes for the next free turn or fork out 99 cents for five more turns, immediately. 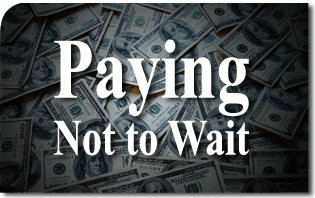 This “wait or pay” tactic can be excruciatingly painful for the game addicts. Not surprisingly many will inevitably cave in to temptation. With the help of game analytics provider Gondola, which has “analyzed 90 million players,” game developers are snaring what a recent Wall Street Journal article aptly termed “whales.”5 Through the information provided by Gondola they are able to keep the customer engaged by lowering the cost for a particular customer through their “dynamic pricing engine.” The cost of “weapons” or “in-game currency” is conveniently adjusted to the individual. Clash of Clans and Candy Crush Saga are but two examples of mobile-games which have now become a profitable way for some to make a very easy living off the vice of others, and there are many. It is more than a bit ironic that the inspiration for this article came while visiting the Hawaiian Islands which are veritable jewel boxes God placed in the middle of the Pacific Ocean. It is called the “Rainbow State” because of the frequent appearance of multicolored arches produced by the Divine brush. They are but one of the marvels placed within the fingertips of a now frenetically intemperate mankind that often go unseen and, oh, how sad, unappreciated. The greatest joys in life, and the ones we most often remember, are those which we did not expect to find. This is unendurable for the intemperate who would rather pay for that which distracts rather than wait for the sublime. Paul Tassi, “Spending A Week With Supercell’s ‘Clash of Clans’” in Forbes Magazine, at http://www.forbes.com/sites/insertcoin/2014/02/26/spending-a-week-with-supercells-clash-of-clans/ accessed June 2, 2015. “Former Cocaine Users Overcome Addiction by Becoming Dependent on Clash of Clans” at http://www.p4rgaming.com/former-cocaine-users-overcome-addiction-by-becoming-dependent-on-clash-of-clans/ accessed June 2, 2015. This entry was posted in Fighting the Culture War, News Commentary and tagged frenetic intemperance, happiness, instant gratification, paying not to wait, Return to Order, video games by Norman Fulkerson. Bookmark the permalink.